I’ve been in ministry for years now, but I officially became lead pastor of our church way back in December of 2008. It has been thoroughly wonderful so far, and I am so blessed at who and how God has put us together as a church here in Juneau, AK to see His purposes accomplished. I am amazed though at how much I feel like a politician. I have to motivate people, inspire, encourage, make (only) positive changes, share a vision for the future, and deal with people—some of whom feel I have not lived up to one or all of those things. I live and learn while raising a family and working a full-time job besides the one pastoring our church. 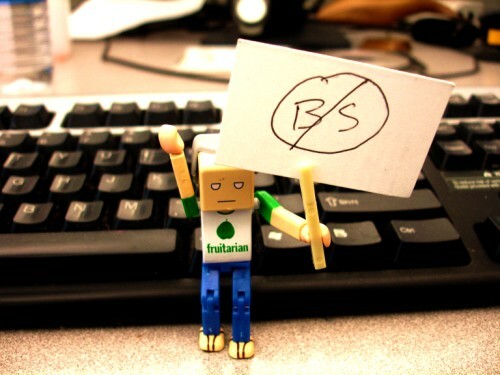 One thing I’m not so good at, and for the most part refuse to do, is BS people. I know, I know—a politician who can’t BS is done before he starts, but I think the church has been filled with it for too long (so has politics, but that’s another post). In fact, a lot of churches are so filled you can barely get in the doors on Sunday (nice visual, huh?). We have tended toward not dealing with things, faking it ‘til we make it (which never seems to come), concealing disappointments because anything else is a “lack of faith,” and so on. We’ve settled for pretending Christianity instead of living and experiencing it. You didn’t get the job you wanted? Well, let me regurgitate a bumper sticker I read once that I don’t really believe (because my life proves it) but will hopefully make you feel better. You just heard you have Ovarian Flu? It’s okay, just trust God and He’ll make everything better. I’m not saying this as condemnation, but I know the temptation is always there. It’s easier to BS than to walk with somebody where you don’t want to go. That’s not easy. Neither is Jesus’ command to love each other as He loved us. That’s the point, it’s divine and supernatural work. I love that the verse says, “live in harmony.” We’re not all robots spouting the same clichés and going through the same experiences. We flow together to make something new, that’s what harmony is: diverse sounds coming together. The beginning of Romans 15 gives us the template to live above the BS. We offer our bodies as living sacrifices. It’s in surrender that we can make a difference and truly walk with people. God’s not buying it and we’re not helping anybody, so let’s put the shovel down. The sad answer that has plagued mankind since the beginning was staring me in the face at that moment: pride. Pride says I need to be recognized, I need to have all the answers, I need a big church to be important, I need 100 comments on my blog post. That’s why we BS and try to make ourselves look better, but better to whom? We already have God’s heart and attention, what more could you ask for? What do you think? Are you guilty of piling on the BS or are you working hard to get it out of the church and/or your lives? 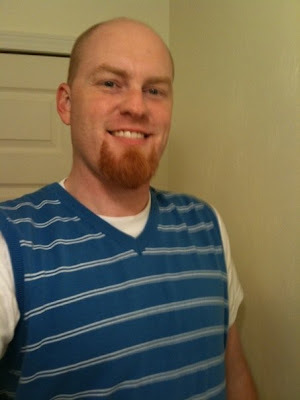 Behold the power of the sweater vest! To read more not BS from Jason, check out his blog, Connecting to Impact and follow him on the twitter at @br8kthru. Katdish asked me about maybe doing a guest post a little while ago. At first I was gung-ho ready (which is usually the case) then came the point where I wondered what I would write. I do have to say that I appreciate Katdish a whole heckuva lot. She was one of the first to start consistently commenting on my blog and she’s been a great encourager for this dorky pastor who’s trying to be real and frequently feeling his way through. I heart your hilarious, encouraging, sometimes irritating soul, Katdish. Sorry, done with the mushy stuff.